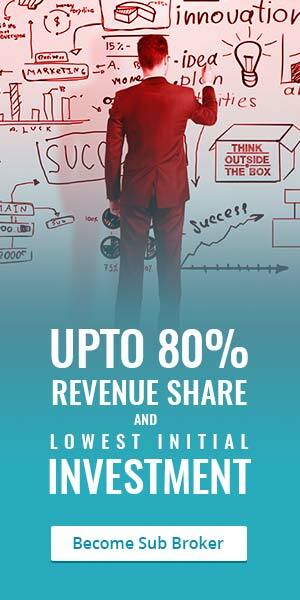 VCK Share is a key player in the stock market with hundreds of VCK Share Sub Broker working under them across India. VCK Stock Broking sub-brokers and other partners, their eligibility requirements, security deposit requirements. Apart from this information, the article will enlighten you about the services and the products of the company and also about the different brokerage charges, account opening and related charges like maintenance and margin money requirement etc. The article will also focus on the company’s administrative information and much such information which you would like to know before you engage with the company as a sub-broker or investors. The customer ratings of VCK Stock Broking is average with a 2.2 for the customer experience that shows they need to improve the way they deal with the customers. Then the services can be bettered as well to increase from the 2.3 ratings. The products seem to be good as they are rated at 2.5. The company can also develop their trading terminals a little to increase the 2.3 rating. The sub-brokers seems happy with the kind of support they get and also with the security deposit that they have to keep as the rating of 2.4 and 2.5 respectively suggests. However, the offers of the company can be altered or bettered as well so as the revenue sharing structure. The overall rating of the company is 2.3 which is an average rating and can be bettered. VCK Stock Broking is a full-service broker with its headquarter in Kolkata. The company was founded in the year 1989 by Varjivan C. Kampani as a private limited company. Since then the company is running with pride and honor and it is one of the most renowned companies in the share broking space in Kolkata. The sub-broker code activation time is 35 days which is the time between the applications given by the sub-brokers who are interested in joining as partners and by the time they get their code activated as VCK Stock Broking sub-brokers. The payout time is 35 days and this is the period within which the company pays the partners after the generation of the revenue. As per VCK Stock Broking sub-brokership business model, the sub-brokers have to acquire their own clients and customers. The customers they acquire have to be pitched with the investment ideas with the products from VCK Stock Broking. The sub-brokers once successful in selling the products and services of the company to the clients, they earn a certain portion of the revenue that the company generates. This is the simplest business partnership of all as there is no need of investing any sum, no full-time engagement etc. The partners under this program can refer any prospective clients who want to invest through a broker and VCK Stock Broking is referred to them by this partner. They earn a flat amount on each referral. The VCK Stock Broking revenue sharing depends on the amount of security deposit it keeps with the company which will be discussed in the next section of the article. There is a bracket of revenue percentage which can be shared with the sub-brokers. The bracket starts from 55% and can go up to 85%. For the referral program partners, the flat amount of Rs. 1999 is provided on each referral. The sub-brokers need to keep a minimum of Rs. 50000 as the security deposit and the amount goes up to Rs. 200000 at the discretion of the sub-broker. The can invest within this bracket and the revenue sharing will be in accordance with the amount they have kept. The referral program has no cost involved. The employee in the company must be at least one. VCK Stock Broking supports the sub-brokers and the referral program partners with their back-office requirements. For instance, if they face any trouble with the documentation or other similar work. The next is the company provide acquisition training to the partners of the company – sub-brokers and referral program partners. This helps the partners in understanding the clients better and acquire them with ease and grow the business for them as well as for the company. The brokerage charges of VCK Stock Broking varies according to the class of assets and type of transactions. For equity intraday transactions, currency futures and equity futures, the rate is 0.03%. The rate goes to 0.28% when it comes to equity delivery segment. The options are also charges at Rs. 28 per lot for the equity segment and Rs. 18 for the currency segment. You can open the VCK Stock Broking account for free but for maintaining the Demat account you have to pay Rs. 280 per year. The trading account can be maintained for free as well. The best thing is VCK Stock Broking asks for no margin money and the transaction charges are 0.00280% of every transaction.